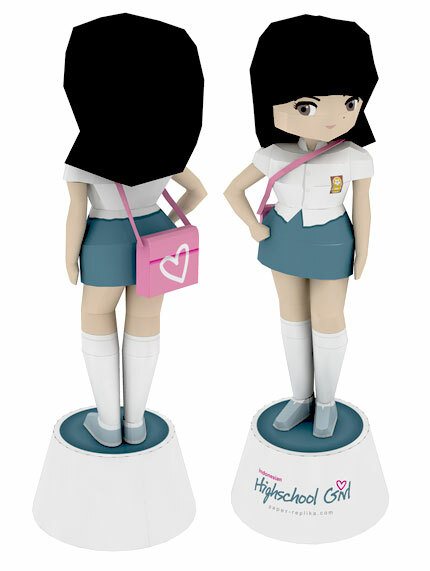 High School Girl Papercraft	. Happy New Year 2009. New hope, new spirit, new friends and new models! Learn from Santa model I release new model series in this year, I named them minipeople series, which is miniature and deformed of unique people. 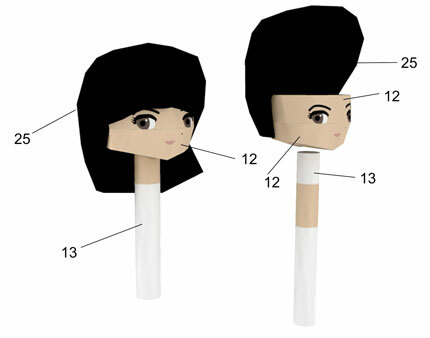 Not very complicated but not too simple, so they would be worth to build paper models / papercraft. 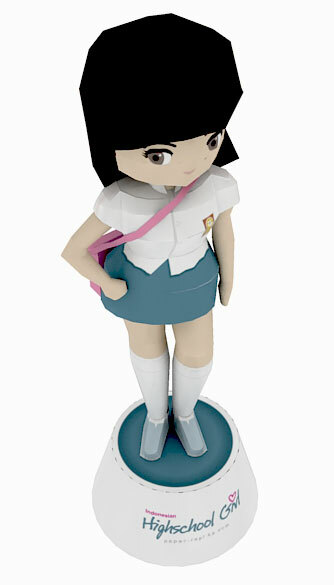 This Indonesian Highschool girl model is my first try, she is cute and I like her. Thank you very much for your donations, comments, suggestions, ratings and supports in 2008. I really appreciate it and I will design more models better. 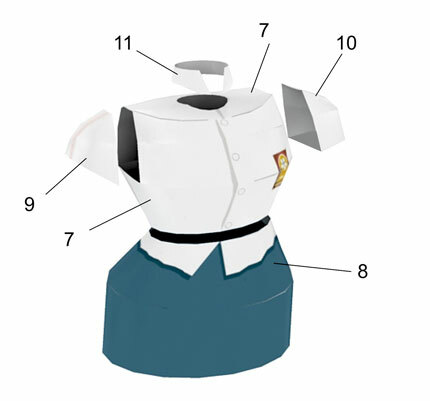 I also plan to release paper-costume.com in this January 2009, so this begining of this year would be a very busy days for me. Wish me luck and happy building. From birth until the age of 5, Indonesian children do not generally have access to formal education. From the age of 5 to 6 or 7, they attend kindergarten (Taman Kanak-kanak). This education is not compulsory for Indonesian citizens, as the aim of this is to prepare them for primary school. The majority of kindergartens are private schools, with more than forty-nine thousand kindergartens, 99.35% of the total kindergartens in Indonesia, privately operated. The kindergarten years are usually divided into "Class A" and "Class B" students spending a year in each class. Children ages 7-12 attend Sekolah Dasar (SD) (literally Elementary School). This level of education is compulsory for all Indonesian citizens, based on the national constitution. In contrast to the majority of privately run kindergartens, most elementary schools are government operated public schools, accounting for 93% of all elementary schools in Indonesia. Similar to education systems in the U.S. and Australia, students must study for six years to complete this level. Some schools offer an accelerated learning program, where students who perform well can finish elementary school in five years. 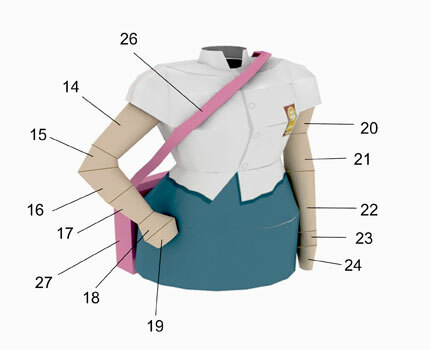 Middle School, generally known by the abbreviation "SMP" (Sekolah Menengah Pertama) is part of primary education in Indonesia. After graduating from elementary school, students attend Middle School for three years from the age of 13-15. After three years of schooling and graduation, students may move on to High School or College, or cease formal education. There are around 22,000 schools in Indonesia with a balanced ownership between public and private sector. In Indonesia, generally known as by the abberviation "SMA" (Sekolah Menegah Atas), "SMU" (Sekolah Menengah Umum), and SMK (Sekolah Menengah Kejuruan) . SMA/SMU differ than SMK in their studies. The students at SMU are prepared to advance to tertiary education while students of SMK are prepared to be ready to work after finishing their school without going to university/college. Based on the national constitution, Indonesian citizens do not have to attend high school as the citizens only require nine years of education. This is also reflected by the number of high schools in Indonesia, with just slightly below 9,000 schools.